Why I have deleted most of this page (March 2017). From 1995 until 2017 this page was a fairly innocent introduction to Scotland for someone unfamiliar with the country. However due to the Scottish independence referendum of 2014, and subsequent discussions starting in 2017 as a result of Brexit, I no longer felt it matched how I felt, so I have removed it. This is the same reason I no longer display a Scottish Saltire on my cars - it is currently mis-construed to imply a political position. 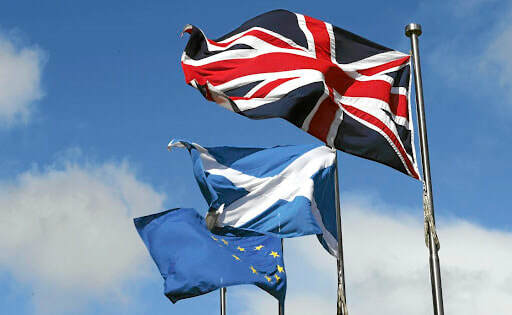 I am Scottish, British and European, and proud to be all 3 things.